Bilco UK supplied an innovative replacement roof hatch for a medieval church in Norfolk. St Mary’s is one of the 653 churches within the Diocese of Norwich and is a Grade 1 listed building thought to date back to the 13th century. The Heritage Lottery Fund and the local community funded essential repairs to St Mary’s church tower and roof in 2016 which included fitting a means of safe access to the roof area. 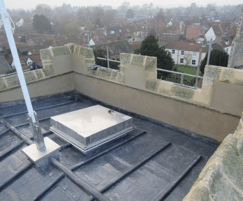 Medieval Masonry Ltd, a specialist contractor in restoration and conservation of historic buildings, installed Bilco UK’s S-50VMTB VersaMount® replacement roof hatch. The innovative S-50VMTB VersaMount® was specified by the architect as it meets the technical specification needed for products in this type of refurbishment project. Architecturally, the product enables the replacement of a roof hatch onto the existing curb without the need for re-roofing. The low-profile VersaMount® curb features a built-in flange and apron and innovative anchor clip system to ensure a fast, secure, and weathertight installation. 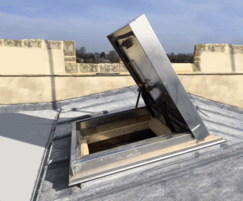 The VersaMount® roof hatch created an economic, sustainable solution for accessing the roof of St Mary's church. This is just one example of Bilco UK’s experience in working with specialist conservation contractors and architects on ecclesiastical architecture projects and nationally protected historic buildings. 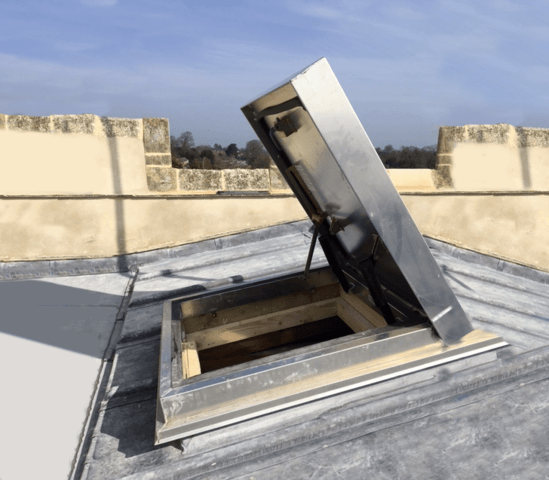 From medieval churches to Scottish castles, Bilco UK’s range of roof access hatches fulfil the requirement for innovative, safe access solutions in historic sites across the country.